Earlier, ICICI Bank had taken Innoventive Industries to NCLT for the recovery of its due as the company had defaulted on loan repayment. The NCLT had given a verdict in favour of the ICICI Bank, which Innoventive Industries challenged in the National Company Law Appellate Tribunal (NCLAT), where it received yet another setback. The company later filed an appeal in the Supreme Court seeking relief under the Maharashtra Act, which states that if a company is facing bankruptcy, protection needs to be provided for the employees. NCLT had struck down the company’s plea and admitted the case in January and an interim resolution professional (IRP) from consulting firm EY was appointed for the company. The company’s promoters had also approached the Bombay high court and the Supreme Court but their pleas were rejected. The judgement of the Supreme Court, in the case of Innoventive Industries vs ICICI Bank is a shot in the arm for the regime established under the Insolvency and Bankruptcy Code, 2016. 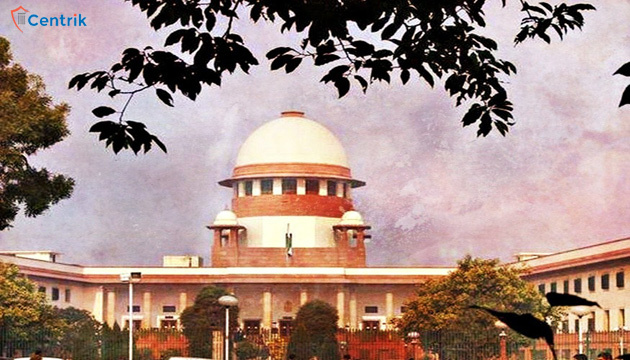 The Supreme Court’s bench comprising of Justice Nariman and Justice Kaul settled the law in terms of repugnancy of any other law with respect to the Code. On a bare reading of the judgement, it seems that the case involved more adjudication on grounds related to Constitutional Law than on the Code. This case related to the first-ever application filed for initiating insolvency proceedings under the new Code. The Court was cognizant of the fact and hence wanted to settle the law so that all ‘Courts and Tribunals take notice of the paradigm shift in the Law’. The case involved contradictory provisions in the Code and a state law of Maharashtra state, Maharashtra Relief Undertakings (Special Provisions) Act, 1958. This state law provided for overtaking of industries by the state by declaring them ‘relief undertakings’. Such overtaking can be done through government notifications to that effect under the Act. This is done to protect employment of the people who are working in such an undertaking. The Code instead provides for overtaking of an undertaking’s business by an ‘Insolvency Professional’ through a committee of creditors. In the instant case, insolvency application was filed against Innoventive Industries which later claimed to be a relief undertaking under the Maharashtra Act. This brought the two legislation on a collision course, for the simple reason that enforcement of one will hinder the enforcement of the other. Therefore, apart from certain issues related to corporate law, the Court heavily dealt with the classical constitutional law doctrine of repugnancy. This doctrine stems from the operation of Article 254 of the Constitution. As per this doctrine, whenever central and state laws are framed on the same subject and are contradictory to each other, it is the central law which prevails and the state law is rendered void. In the scheme of the Indian Constitution, both Central and State Governments are free to make laws on matters mentioned in the Concurrent List of the 7th Schedule of the Constitution. A plain reading of Article 254 gives an impression that if both central and state governments frame laws on a same entry under the concurrent list, only then the Central law will prevail. In the instant case, however, the laws even though coming in conflict with each other, were framed under different entries of the concurrent list. This involved an adjudication by the Supreme Court on this point. The National Company Law Tribunal (NCLT) had ruled that Innoventive Industries can’t claim any relief under Maharashtra Act. It also interestingly decided that there is no repugnancy between the two laws, as they operate in different fields. The appeal to the apex court, hence involved two major questions. One was, whether the petitioner can seek relief under the Maharashtra Act at the cost of the Code. The second was, whether both the laws are repugnant to each other. An affirmative answer to the second question will automatically make the first redundant. The court naturally went into elaborate details of constitutional law to answer the second question. Invoking a lot of international cases, especially of the Commonwealth countries and previous judgements of the Supreme Court, the bench ruled that there is indeed repugnancy between the two laws. The court held that even if the two legislations are framed on different entries of the concurrent list, the central law will always prevail if it comes in conflict with the state law. The state law therefore was held inoperable to the extent that it was in contradiction to the Code. The court delved into great detail of the provisions of the Code and held it to be intended as an ‘exhaustive legislation’ by the Parliament, to cover the whole field of its operation. In such instances involving an exhaustive law, even though the state law may not be in strict violation of the code, it will even then be rendered inoperative to give way to implement the exhaustive law on the point. The court in its para 50, summarizes the whole law in relating to doctrine of repugnancy. Thereby, it lays down whole corpus of the doctrine under ten points on which there can be repugnancy between the laws. With respect to the Code, being acknowledged as an exhaustive law on the point is definitely a very progressive step. The judiciary deserves praise for implementing the Code with an intention it was meant to be. It also, now brings in more clarity that the provisions of the Code will have supremacy over every other law, whenever and wherever any conflict arises. A similar doubt has existed in the legal fraternity with respect to the operation of The Securitization and Reconstruction of Financial Assets and Enforcement of Security Interest Act, 2002 (also known as the SARFAESI Act). This law hasn’t been repealed by the Code and has an alternate remedy for secured creditors outside the Code. Hopefully, following the lead from this judgement all such doubts relating to contradictory provisions in several other laws, will be put to rest.